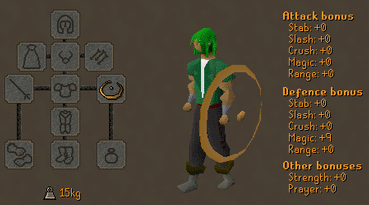 If you are looking for the modern RuneScape guide for this content, please see our The Elemental Workshop II guide. No official description of this quest is available at this time. 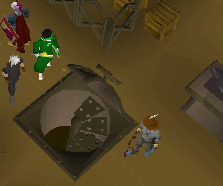 Begin by going to the Exam Center located southeast of Varrock, searching the bookcases and reading a Beaten Book. Once you have searched the bookcases, you should find a Beaten Book. When you open it to read it, you will discover a Scroll with some odd markings on it. Read the book at your leisure, and bring it with you to seer's village. You can teleport to camelot if you want. Inside the workshop, begin by heading north into the watermill room. Search the machinery near some crates in the west side of the room for a Key. 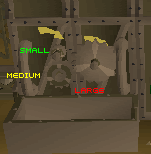 Once you have that key, you will be able to proceed in the large opening in the very centre of the workshop. Go downstairs. You will be inside a vast, secondary workshop. To the south is an old, broken elemental claw crane and a few crates. Search the crates, and you should find a few schematics. Take the schematics with you. Get 3 elemental bars ready (Refer to the Elemental Workshop I Quest). 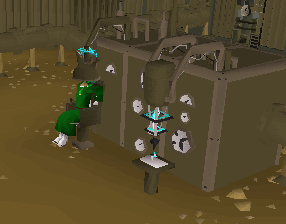 Head back upstairs to the first workshop, and use your elemental bars on the workbench. You should be given the possibility and option to smith either a Elemental Helm or Elemental Claw . 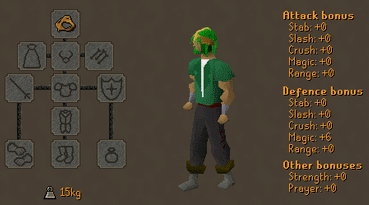 To make the helm you need to keep the Beaten book with you. Make them both and keep your third bar. Go back downstairs. You will now need to repair the Crane. Lower it by pulling the lever just west of the crate with the schematics. Once it's lowered you will be able to reach it for the necessary repairs. Use your elemental claw on it. After it's repaired, raise it. Once the claw is repaired, place an elemental bar on the Jig Cart. Do not move it yet. Lower the crane again, and it should pick up your bar. Raise the crane again. 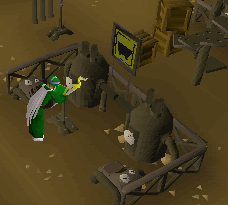 Now, rotate it so it can be above the lava using the eastern lever. Lower the crane again. This should dip your elemental bar into the lava, and it will turn Orange. Raise the crane again, then turn it with the other lever once more so you can place on the jig cart. Lower the crane then raise it. To the north of you will be a small area with fencing on 3 sides and a lever as a central viewpoint. 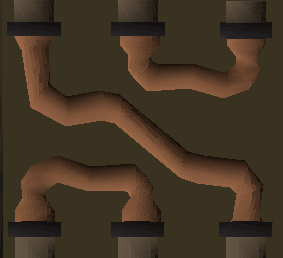 Once they are connected in the proper way, go back downstairs and pull the lever that is just next to three small pipes. This should flatten your bar. 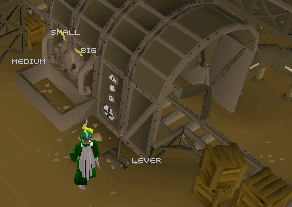 Now, go back to the mine cart controls and pull the lever once. It should now move on in front of a water tank. You will need to repair the pipes before proceeding. Search all crates (Upper and lower sections of the secondary workshop. There are some crates under the stairs too, and the location is random for everyone) until you find a Pipe and then go to the upper second section workshop, where the Junction box is. Go up north until you see some pipes. One should have a hole in it. Use your pipe on that to fix it. Go back downstairs. Open the door by pulling the lever, and then operate the Corkscrew lever. This should place some railings under your cart. Operate the Corkscrew device once more, and your bar and cart should be place inside the water tank. Close the door with the lever and head to the Western water valve. The water should flood the tank and cool down your elemental bar a bit. It will now be Blue. Now you have to drain the water. Turn the Eastern water valve and then the Western valve. Open the door, and operate the corkscrew wheel twice to place your cart and bar back on track. Close the door. 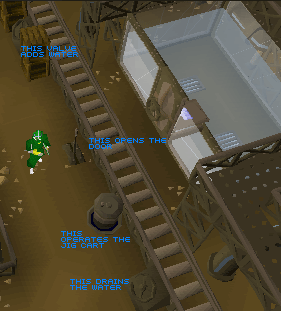 To find the cogs, search all the crates in the secondary workshop. They are randomly located for each different person. They can also be on the upper section of the second workshop and there are some crates under the stairs too. Once you have found them all, use them on the wind tunnel Pins on the side. Click a cog and then right-click the machine. Once correctly configured, pull the lever and the wind fan should start to blow. Stop the fan after a few seconds. Your bar will turn white. 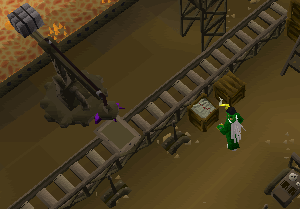 Go back to the mine cart controls. Pull the lever once again. Now, pick up your Primed bar from the cart. Go down the north-western staircases that lead downstairs from there. You should find an Extractor machine and an Extractor Gun. Place your primed bar under the gun and then operate the chair. You should be zapped and lose some magic levels temporarily. If you don't do this correctly, you will be damaged. Once you have done this, your bar should be infused with Mind Power. Bring the Primed Mind Bar upstairs to the first workshop, and use it with the workbench while carrying a Hammer, and you will make a helmet. Quest Complete! 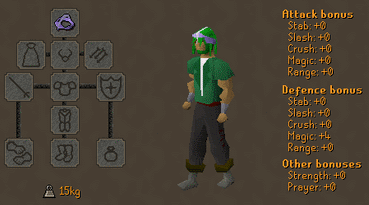 Elemental Helmet Mind Helmet 7,500 Crafting experience 7,500 Smithing experience Ability to equip and make Mind Elemental equipment. 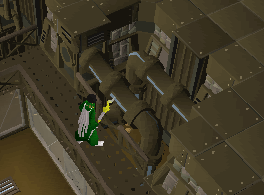 This new equipment is made from the elemental mind primed bars. You must repeat the whole process of the second workshop (No repairs needed) In order to obtain additional bars. Then you must infuse it on the extractor. Afterwards, smith it on a workbench. 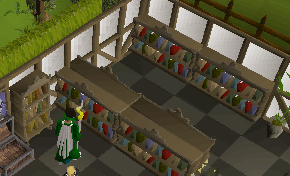 You must have the Beaten Book (From Digsite) to make the helms and a Slashed book (From Seer's Village Bookcase or bookshelf from your house) to make the shields. You can only smith them on the Workbenches in the workshop. 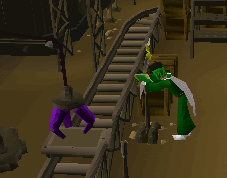 Mind Equipment has better magical defense than regular elemental gear.